The new U.S. Soccer Development Academy logo was released in the summer of 2016 to kick off the 2016-17 Academy season, the program's 10th season. 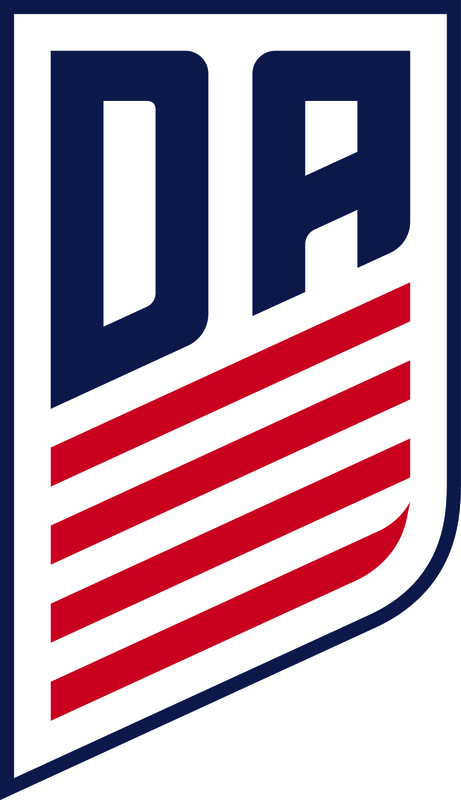 The logo features an inextricable link to the U.S. Soccer crest, as well as features the letters "DA" for Development Academy. The forward and upward motion of the logo's shape signifies the strategic growth and direction of the program. Additionally, the four stripes represent the four pillars of the Development Academy: excellence, pride, tradition, and education. To stay in tune with this season's action, follow the Academy on Facebook, as well as Twitter, Instagram and Snapchat @ussoccer_acad.